What Causes a Dislocated Jaw? My Jaw Is Dislocated. Now What? The mechanics of the jaw are fairly intricate, and jaw dislocations occur more easily than expected. Symptoms commonly include a crunching noise and difficulty eating or moving your jaw. Although jaw dislocation does not usually require surgery, clinical guidance and care are advisable. Your jaw hurts. In fact, your entire face hurts. Is it possible you’ve dislocated your jaw? A dislocated, fractured or broken jaw is a very common injury to the face. When it comes to facial bones, only the nose gets broken more often. Let’s start with some basic anatomy. Two temporomandibular joints (TMJs) connect your lower jawbone to your skull. “Like all joints in our body, the TMJ is composed of two articulating bones held together by surrounding ligaments,” explains Dr. Stephen Warren, a craniofacial plastic surgeon in New York. Your jawbone, in its entirety, reaches from the bottom of your chin to a spot behind your ears. 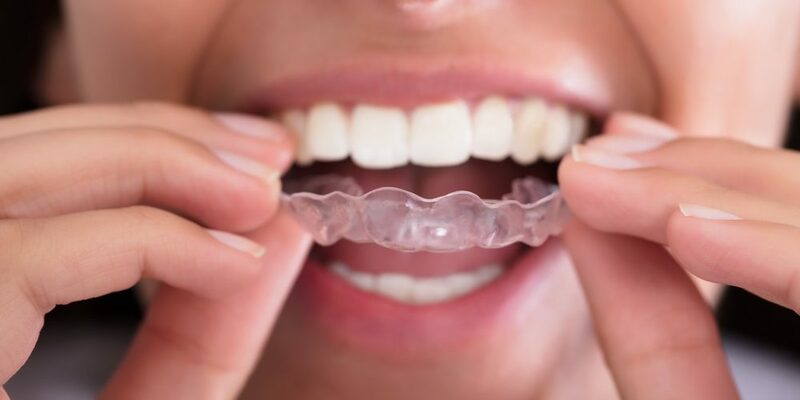 It is made up of two main parts – the mandible, which is the moveable lower jaw and a ‘seat’ of sorts for your teeth, and the maxilla, which is the fixed part that makes up the upper jaw. These two parts form a hinged structure that enables the many different movements necessary for eating, talking and yawning. Our jaws can move backwards and forwards, sideways as well as up and down – all with the help of muscles working together. Generally, the dislocation happens in a forward position but can manifest in any other direction. There are several notable differences between a dislocation and a fractured jaw, explained Dr. Lloyd Klausner, D.M.D., P.C., an oral, maxillofacial and implant surgeon in New York. The jaw is dislocated when an entire side (or both sides) becomes separated from its normal position within the jaw joint. A fractured or broken jaw occurs following trauma to the jaw and involves the jaw breaking into two or more pieces. A dislocated jaw can usually be repositioned by the patient or an oral surgeon by means of relaxing the jaw muscles and guiding the jaw back to its normal position. A fractured jaw requires immediate surgical intervention. Note that a patient who chronically dislocates a jaw may also need surgery. Sometimes, you can dislocate your jaw performing very mundane activities. Yawning widely, for instance, and then finding that you can’t close your mouth is a surprisingly frequent cause of dislocation, says ER specialist Dr. Rick Pescatore, Assistant Professor of Emergency Medicine at Rowan University, and assistant director of emergency medicine research for the Inspira Health Network in Vineland, New Jersey. Other everyday activities that can land you with a dislocation includes biting into a sandwich piled high with ingredients or opening your mouth wide during a dental procedure. A blow to the face is also a likely reason for a dislocated jaw. This can happen as a result of a car accident; a fall or sports-related accident; and assaults – jaw injuries from assaults are most common in young men between the ages of 20 and 30 years. Dental procedures that require the mouth to be open for extended periods of time – like root canals or extractions, says Dr. Chandwani, may also contribute to dislocations. Braces restrict condyle movement and when orthodontic treatment is done, the restriction ends and can result in dislocation. There are also medical reasons that may cause the jaw to dislocate. Seizures, dystonias (neurological movement disorders), and Marfan syndrome (a disorder of the body’s connective tissues) are associated with jaw dislocation. Joint arthritis may also be a risk factor. It’s important to recognize the signs and symptoms of a dislocated or broken jaw. A dislocated jaw may not be fractured but the symptoms are much the same. You should be aware of the following common signs of dislocation. The most usual complaint, explains Dr. Chandwani, is pain in the jaw, face and head, and trouble moving the jaw. Pain may also be felt in the ears, neck or teeth, and chronic headaches may ensue. Drooling may result when you are unable to close your mouth properly, and pain may become unbearable. If your jaw is fractured or broken, you will also likely experience bleeding from the mouth, facial bruising, swelling and numbness in the chin or lips. The only way to know for sure that your jaw is dislocated is through physical exam and x-rays. Jaw dislocation does not usually require surgery unless it’s the result of a fracture. Most jaw dislocations, notes Dr. Warren, will heal spontaneously, or following a simple procedure in the ER. They can be easily treated by a dentist or oral surgeon, who will manually manipulate your jaw back into position. A muscle relaxant and perhaps a local anesthetic may be used to loosen the jaw muscles so that the manipulation can be done. After the procedure the jaw may need to be bandaged for a few days to keep it comfortably in place. Repositioning, also known as an extra-oral reduction maneuver, works quite easily, confirms Dr. Pescatore. Note however that such a procedure should only be attempted by a trained healthcare specialist – do not try to do it yourself! This could risk further injury. It’s important not to open your jaw too wide while healing. So, when yawning, for example, support your chin. If your jaw is stuck open, massage it gently with your fingertips to encourage more range of motion. Ice alternated with warmth may also help. Rub your jaw very lightly for two or three minutes with an ice gel pack, while trying to move your jaw in every direction. Follow this with the use of moist warm compresses applied carefully to your jaw and temples for about five minutes. A soft diet is recommended, at least in the first few days. Select food, such as pasta, rice, soups or canned fruits, and avoid items that are hard and crunchy. Use a straw to take in liquids, such as water and juice. Pain relief is best managed with anti-inflammatory medications, including ibuprofen or naproxen. Gentle exercises for your jaw recommended by your healthcare professional will also provide comfort. If the pain persists or worsens to the point where it disturbs your sleep and disrupts daily activity, get medical help. Oral surgeons and orofacial pain dentists have had specialized training in the diagnosis and treatment of TMJ disorders like dislocation.